Summary: A heavenly perspective on attitude. 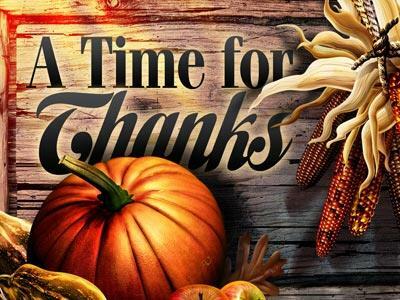 Paul shows us in the letter to Colossians that an attitude of thanks giving is important for a complete life. What a heavenly perspective. Bro Whyte must have had his treasures laid up in heaven. We will see this morning that the Apostle Paul did as well. Every one of Paul’s letters except Galatians begins with thanksgiving. In the letter to the Colossians He mentions giving thanks seven times. There is a great importance to the number seven. The number seven in the Bible it stands for completion and perfection. Seven can also be connected to oaths or swearing. God’s Word in this letter tells us how to have a complete life. A key ingredient to a complete life is a life full of thanksgiving. Thanksgiving is not simply a day we acknowledge with celebration. 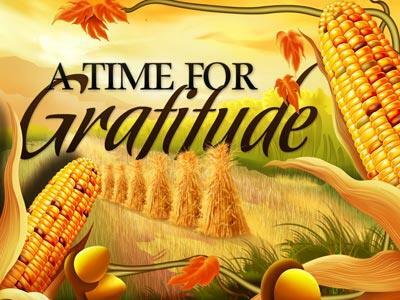 Thanksgiving is instead an attitude we should receive at salvation. It has been said many times that Christianity is not a religion it is a realtionship. Out of the relationship with Jesus should come a Christian lifestyle. Those that live as Christians should be living in thanksgiving. Let’s examine what the Bible says about living in Thanks giving. Biblical reasons for living in thanksgiving. The passage shows us that there should be a Biblical attitude of gratitude. An outward overflow of the inward working of Jesus. Notice that all these are were, have been, etc. . They are present realities in the Christians life. If Christ is working in you thankfulness should be coming out of you. WA Criswell The Christian faith is that – always reflectig our gratitude to God for His wonderful goodnesses to us. b) Cituations we think are unbearable may have been placed for our good. Corrie Ten Boom in The Hiding Place relates an incident that taught her always to be thankful. She and her sister, Betsy had just been transferred to the worst German prison camp they had seen yet, Ravensbruck. On entering the barracks, they found them extremely overcrowded and flea-infested. That morning, their Scipture reading in 1 Thesolonians had reminded them to rejoice always, pray constantly, and give thanks in all circumstances. Betsy told Corrie to stop and thank the Lord for every detail of their new living quarters. Corrie at first flatly refusedto give thanks for the fleas, but Betsy persisted, and corrie finally succumbed to her pleadings. During the months spent at the camp, they were surprised to find how openly they could hold Bible study and prayer meetings without guard interference. It was not until several monts later that they learned the reason the guards would not enter the barracks was because of the fleas. Many think they are in prision today because things don’t go their own way. So instead of being thankful they are ungrateful. What really happens is you build a prison cell of you own attitude. So what fleas do you have in your life that you are unthankful for. Before this message is over recognize your fleas, and thank God almighty for the great things he has done. Important Question: Do you have a rosey outlook or a rotten outlook? If you have a rotten outlook then you, as Zig Ziggler says, have stinking thinking. 1) Many people including Christians live in a platitude of gratitude. A platitude is an empty unoriginal or redundant comment. 2) We often the words but they are empty. Our thanksgiving does not have the thrust of a heart beating for God. We just want check off our Christian Check list, never truly giving thanks to God. A heavenly perspective on attitude. 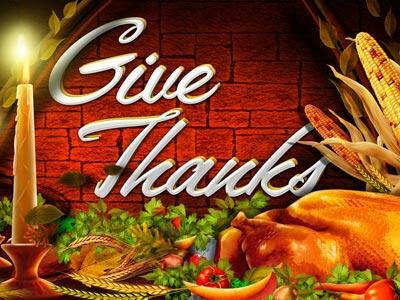 Paul shows us in the letter to Colossians that an attitude of thanks giving is important for a complete life.